These 5 ingredient burger patties are so tasty that you’ll want to eat them all by themselves! They’re totally thai-riffic! Since we’ve fallen back in love with our barbecue, we can’t stop barbecuing and won’t stop barbecuing. 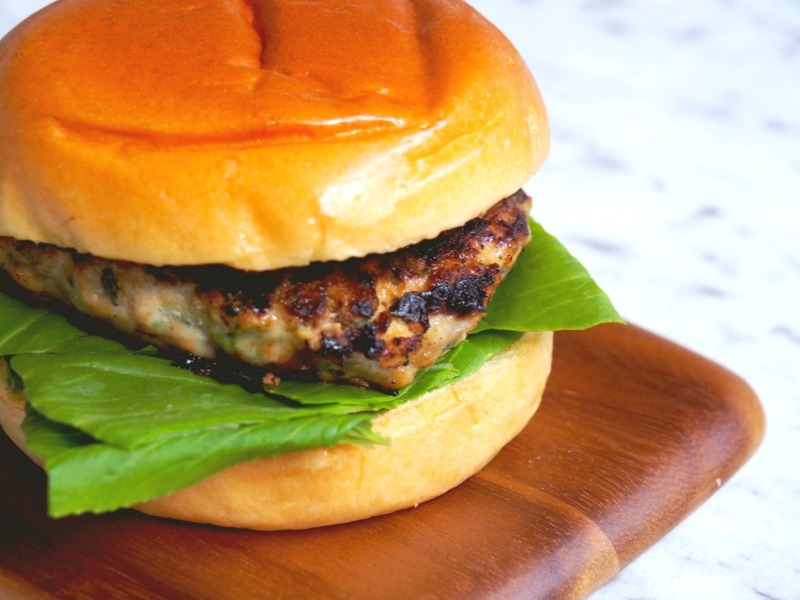 First there were those Beefy Burgers with a Bit of a Rub, then there were those Turkey Burgers with Cranberry Onions and let’s not forget those Caesar Turkey Burgers. Nom, nom! 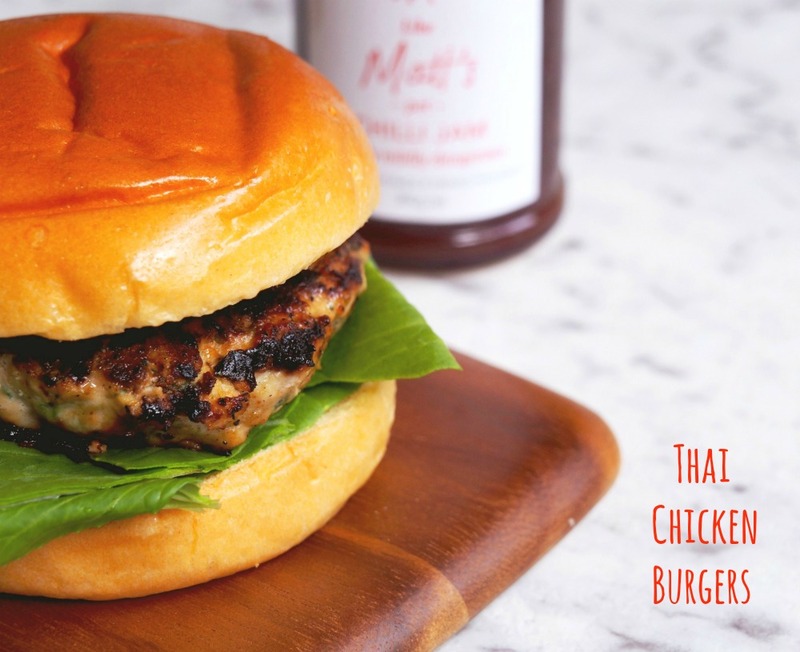 These Thai Chicken Burgers are a healthy, tasty twist on regular chicken burgers. We like to use chilli jam for a taste of Thai but if you don’t have any to hand, Shirl’s Eggplant Chutney is a most delicious substitute. 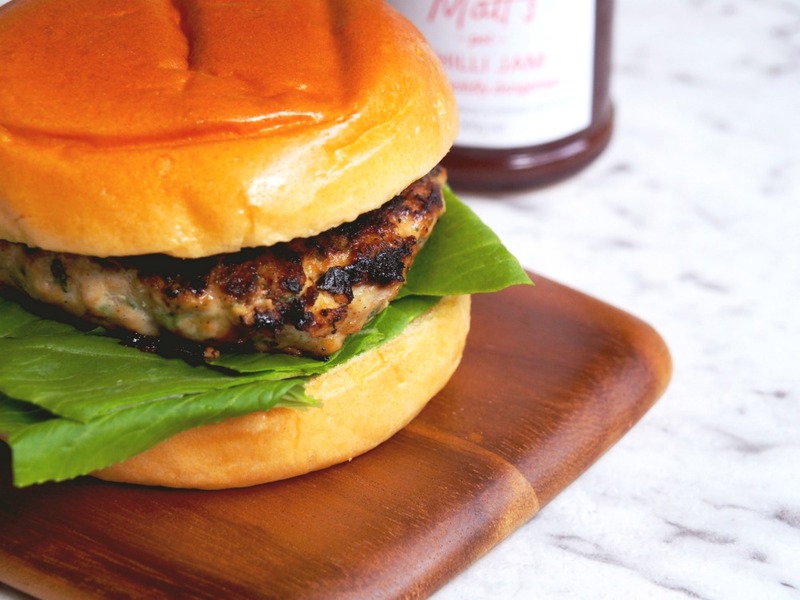 As much as I love a brioche bun situation, these chicken patties are stand alone delicious and we sometimes make a double batch so we can eat some for dinner and some for lunch because it’s always good to plan ahead, no?! Are you a fan of barbecuing? What’s your all time favourite burger? Chop half the asian greens finely and place in medium bowl with chicken and 2 tablespoons of the chilli jam. Mix well and shape into four patties. Cook patties in griddle pan or on barbecue until cooked through. Sandwich patties, remaining greens and chilli jam between bun halves.